When playing this Wii game, a lot of people start to wonder whether or not they could actually lose weight. Anyone who’s tried it will vouch that a few songs into it you might actually even begin to break a sweat, which seems strange considering you’re just playing a video game. In reality though, it uses a good deal of calories-far more than one would burn sitting on their rear playing any other video game. 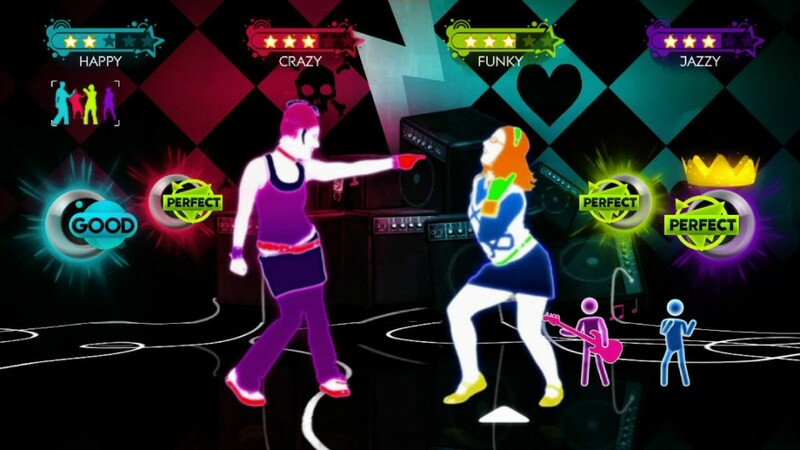 In fact, 30 Minutes of Just Dance burns roughly 200 calories, depending on many factors such as your body weight, muscle content (with more muscle you expend at a higher rate), gender, and metabolism. How many calories does each song on Just Dance burn? Each song burns roughly 20 calories, but will vary depending on how much movement goes on during the routine (they are ranked with images of sweat drops on a 1-3 level of difficulty) and how long the actual song is. The songs with 3 sweat drops burn around 23 each, while the songs with a ranking of only one sweat drop use around 18. You can increase the amount of work you put yourself through by trying to stick to the songs that you get moving around the most, though even the easiest ones are still using up a decent amount of energy. 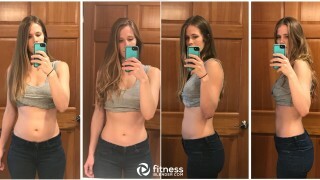 For more easy ways to lose fat and tone at home check out Fitness Blender Home Workout Videos; most require no equipment and they are all 100% free. We offer Pilates, Boot Camps, Abdominal workouts, strength training, cardio and a bunch more, plus we are always adding new videos. If you want to bump up your expenditure with this game, there are lots of things you can do to boost the workout factor. In between songs, while you wait for the game to load, do jumping jacks, push ups, or sit ups. If you make a conscious effort to keep moving in what would otherwise be wait-time of the game, you can really get a good workout out of it. Check out this list of the Best Video Games for Weight Loss for more ideas on ones that get you moving. You can buy Just Dance version 1, 2 or 3 on Amazon.com for cheaper than in most stores. You can also save money there by buying used versions of the game. Read this for a breakdown of the number of calories that are used up per minute playing the game.